Breanna Stewart, who led all rookies in points, rebounds and blocks, received 38 of 39 first-place votes in the ROY balloting. Stewart and Storm guard Jewell Loyd – the 2015 winner – makes Seattle the first team in WNBA history to have the Rookie of the Year in consecutive seasons. 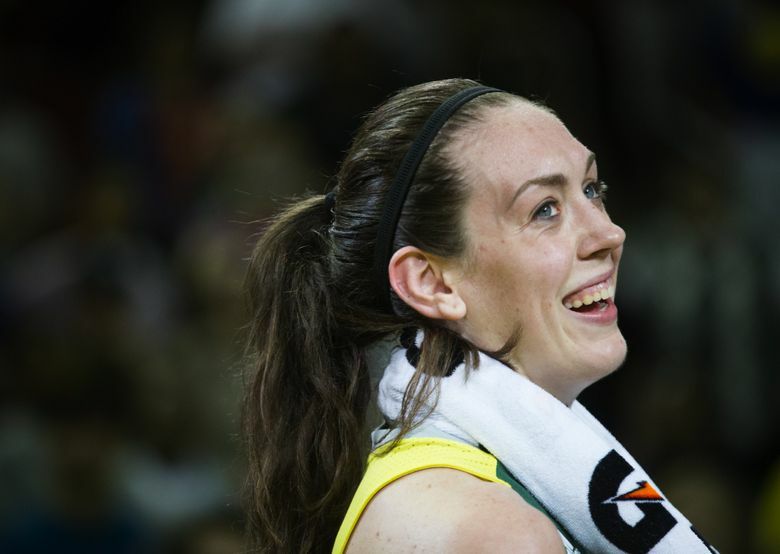 Breanna Stewart lived up to the tremendous hype that preceded the WNBA’s 2016 No. 1 draft pick who had a historic collegiate career. The first-year superstar led the Storm’s return to the playoffs after a two-year absence. She ranked first among all rookies in points, rebounds and blocks. And she set the league record for most defensive rebounds in a season with 277, eclipsing Lisa Leslie’s mark in 2004. On Thursday, Stewart capped a record-breaking season by capturing the WNBA’s Rookie of the Year award with a near unanimous vote. She received 38 of 39 first-place votes from a national panel of broadcasters and sportswriters. San Antonio Stars guard Moriah Jefferson, Stewart’s former teammate at Connecticut, received the other vote. Stewart and Storm guard Jewell Loyd – the 2015 winner – makes Seattle the first team in the WNBA’s 20-year history to have the Rookie of the Year winner in consecutive seasons. Stewart also headlines the 2016 WNBA All-Rookie team that includes Jefferson, Indiana guard Tiffany Mitchell, Dallas forward Aerial Powers and Chicago center Imani Boyette. Stewart – who won four NCAA titles, four Most Outstanding Player honors and three Naismith Player of the Year awards at UConn – proved to be better than advertised. This season the 6-foot-4 forward topped all rookies with 18.3 points (sixth in the WNBA), 9.3 rebounds (second) and 1.9 blocks (third). She became the sixth player in WNBA history to reach all three of those averages in the same season, joining Lauren Jackson, Yolanda Griffith, Lisa Leslie, Candace Parker and Sylvia Fowles. Stewart ranked second among rookies in assists (3.4 apg) and steals (1.2 spg) and was third in field goal percentage (45.7) and free throw percentage (83.3). She started all 34 regular-season games and tied for the league lead in minutes (34.7 mpg). The North Syracuse, N.Y., native scored in double figures 31 times and tallied at least 20 points in 14 games, including a career-high 38 points. She led the Storm in scoring in 17 games. Seattle finished the regular season at 16-18, a six-game improvement from 2015. The Storm was eliminated 94-85 in a first-round, single-elimination playoff game at Atlanta. It’s been a season for the ages for Stewart who won a gold medal at the 2016 Olympic Games in Rio with the U.S. women’s basketball team. She swept all four of the WNBA’s Rookie of the Month awards, claimed the Associated Press WNBA Rookie of the Year award and was the only player on the AP WNBA first team and rookie team. “She really handled everything with such ease and it can be hard,” said Storm guard Sue Bird in a release from the team. Bird played with Stewart in the Summer Olympics. Stewart will receive a Rookie of the Year trophy and $5,000 check from the WNBA. The league also created a Rookie of the Year t-shirt in honor of Stewart on sale at WNBAStore.com. Stewart heads to China on Friday where she’ll spend the next five months playing for Shanghai in the Women’s Chinese Basketball Association.